Do you live in a one-room apartment? Many of us do, whether by choice or necessity. And most people are probably looking for trendy ways to improve the space in their beautiful home. Spring is most undoubtedly the queen of seasons. As the spring season sets in, the world looks more beautiful and alluring. Trees burst with fresh green leaves and all kinds of beautiful flowers bloom. Spring trends are the perfect way to bring more freshness to a one-room apartment! Spring is the season of beautiful flowers, butterflies and the birds twittering in trees… Spring-inspired decor can transform a small abode into a veritable paradise! Take a look at these ideas to see what we mean. Spring trends are about fresh air, light home decor ideas, and a cheerful atmosphere. One of the most difficult things about beautifying an apartment is picking out a colour theme. Just to get the right dose of warmth, the colour should be light and bright. The joyful and stylish combination of pink against a light blue background helps keep things sophisticated and also adds softness to stylish spring décor. This interior gives a brilliant effect and keeps it looking lively. When a room has colors that all work together and are in harmony, it makes the entire space feel neater, cleaner and more unified. 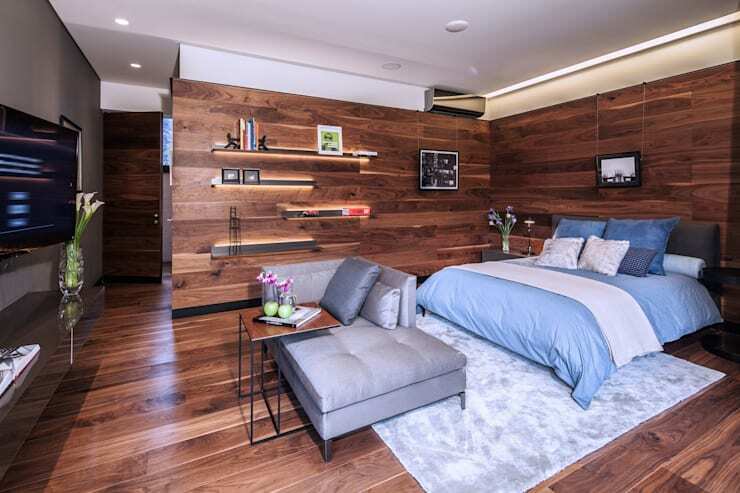 This beautiful room is part of a great project by Mexico-based architects Grupo Arquitectura. Spring eco-style decoration brings an outdoor feel to the apartment. Bigger windows or removing curtains and cleverly placing wall mirrors fill a home with natural light, allowing nature's glow to be reflected inside. 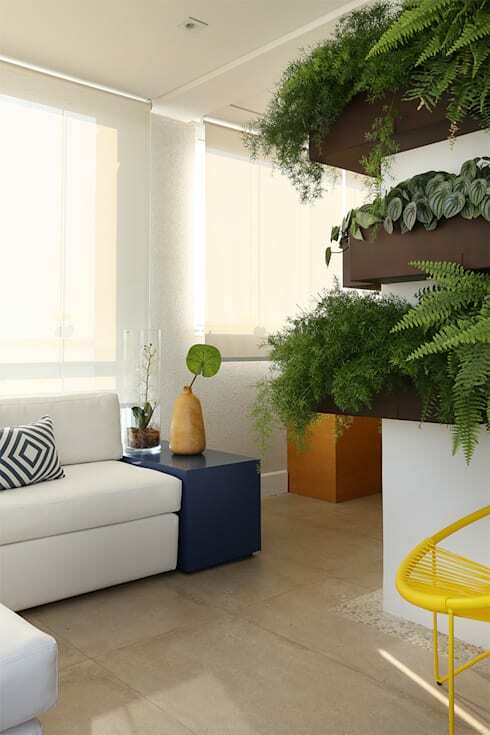 Another obvious way to get the 'outdoor' feel is by bringing plants into the living space. Including nature in the apartment with potted plants and fresh flowers including the bathroom gives the fresh feel and fragrance of a spa. Natural light is important for plants. Positioning the study desk near a large window will bring enough sunlight to nourish your plants. Correct usage of textured finished blasted granite on the floor almost gives a feeling of sand! Floors made of materials such as bamboo, cork or actual wood make your feet feel closer to nature. A true outdoor feel can be created by using earthy tones for the sofa and chairs and by adding simple pieces of terracotta. Flower arrangements prepared in a manner reflecting the precepts of Zen bring a calm and peaceful atmosphere. A lotus floating in a water-filled Zen vessel before a Buddhist altar will give a one-room apartment a serene, reflective quietness. Flowers with a Zen vessel create a meditative ambiance and the stress of modern life is balanced out. Invest in a well-designed Zen vessel to remove any negativity in a small apartment. In fact, a small Zen vessel garden can be used to build a meditative air about an apartment, imbuing health and emotional benefits. 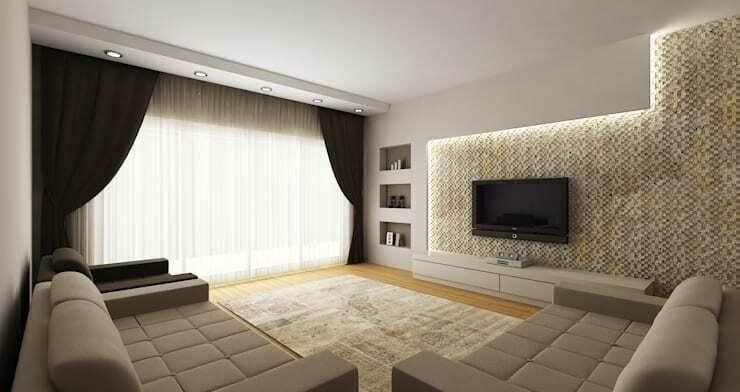 Following spring trends, use long and translucent curtains to divide rooms and create soft walls. These curtains allow light as well as a fresh breeze to pass through while maintaining privacy. The secret is to have a very light fixing of wire that doesn’t sag and which will discretely allow curtains to be held in place. These curtains create an airy ambiance in themselves. Hang curtains to create a room where there is none. Cover large windows with ceiling-to-floor curtains for privacy or fling them open to let the light flow in. A one-room apartment can be a bountiful source of small-space inspiration. It is all about living well with less. As we strip away the excess and clutter, It's really important to measure the space and choose furniture wisely. For example, a small chair or a chair without arms can do wonders in making the space feel larger. Having a coffee table or bookshelf with open areas creates an impression of more room. Sliding panels instead of regular cabinets take up less space. Sliding doors are trending in closets and cabinets. The easiest way to use less and create more space is by using open-backed shelves. It works equally well in small apartments. When space is at the top most priority, space-savvy designs should be thought of. Think fold-up sofas that convert to spare beds and adjustable tables for dining and lounging. Don't buy too much. Less is more. Another spring trend to be followed this season is an investment in a decent rug which creates a soft, warm barrier between your feet and the cold, hard floor. A rug in your apartment should be at least large enough to keep your feet toasty while the nights are still cool. Place a large rug in front of the sofa for extra comfort. 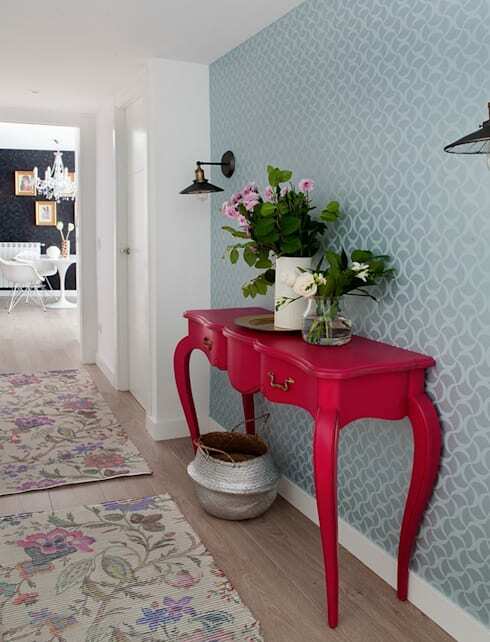 Smaller rugs can be placed nearby to add colour and variety. 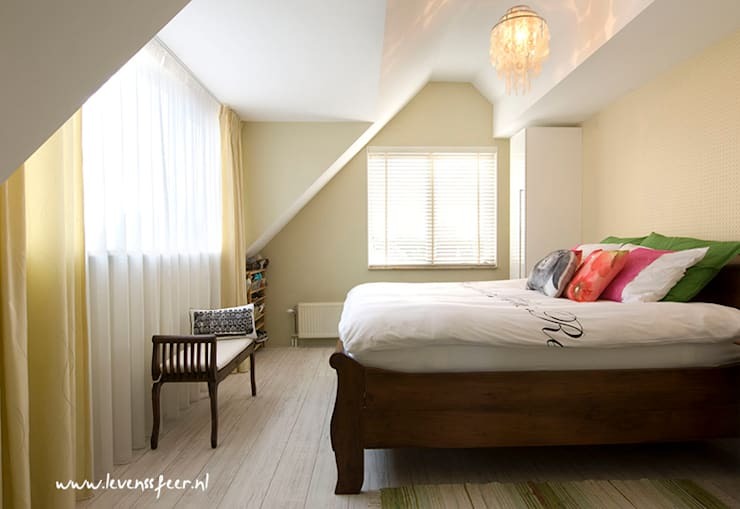 If you're after some more spring style tips, don't miss The Studio Apartment with a Spring Feel ideabook! Is spring YOUR favourite season? Which of these ideas would you like to try? Let us know in the comments!